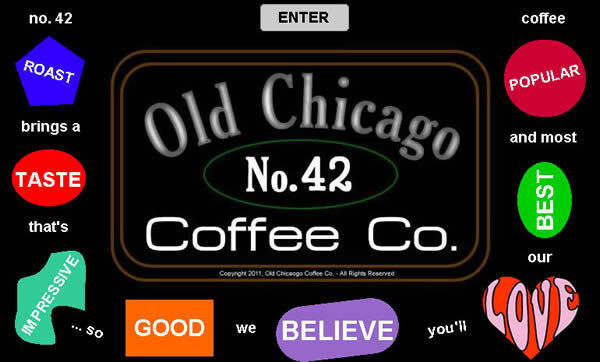 Better Coffee at Old Chicago Coffee Co.
Old Chicago offers the World's Best Coffee House roasting method featuring the Old Chicago Coffee recipes. Famous for our premium No. 42 roast... there's nothing else like it. Now you can enjoy it anytime.